A look at the book’s cover. It has been quite a journey, and in spite of all the obstacles. 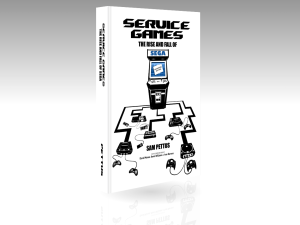 the ultimate SEGA history book – Service Games: the Rise & Fall of SEGA is ready for shipping. It all started with a small website hosted at Eidolon’s Inn called SegaBase. A website where Sam Pettus used to archive SEGA’s history. It would later evolve in to the first and most expansive documentation of SEGA’s entire legacy on the internet. On May 22, 2002, Sam updated SegaBase with the final entry in the Dreamcast chapters, and just like SEGA vanished from the home console business, Sam Pettus vanished from the internet. Four years later, in 2006, I submitted my international baccalaureate thesis – The Rise and Fall of SEGA. I went through dozens of magazines, visited hundreds of websites, even watched a few TV shows but nothing was better than SegaBase, and I largely based my thesis on it. Through SegaBase, I discovered the faces behind the blue logo and learned so much business, commerce, culture and history that it is impossible to do it justice in this post. The book’s Kickstarter campaign raised more than $7,000 when it finished in November 2012. It took six drafts to get to the final version, pictured far right. To do justice to the source material, the project was brought to Kickstarter in fall of 2012. 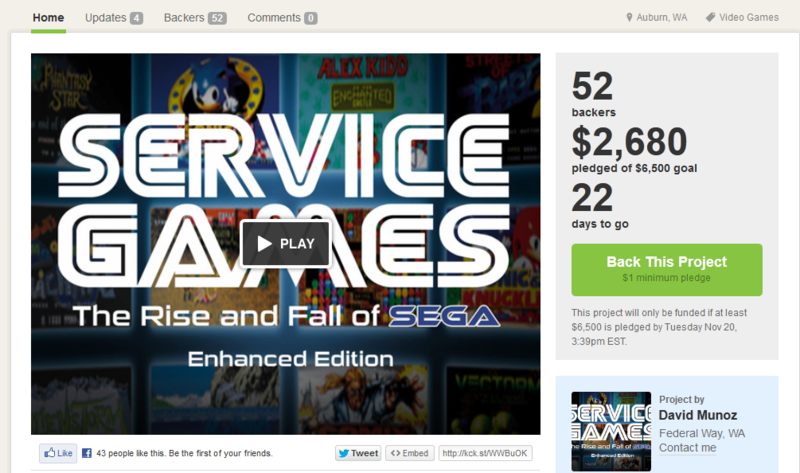 With the help of hundreds of SEGA fans, Munoz managed to raise $7,090, with most backers receiving a physical copy of the book. 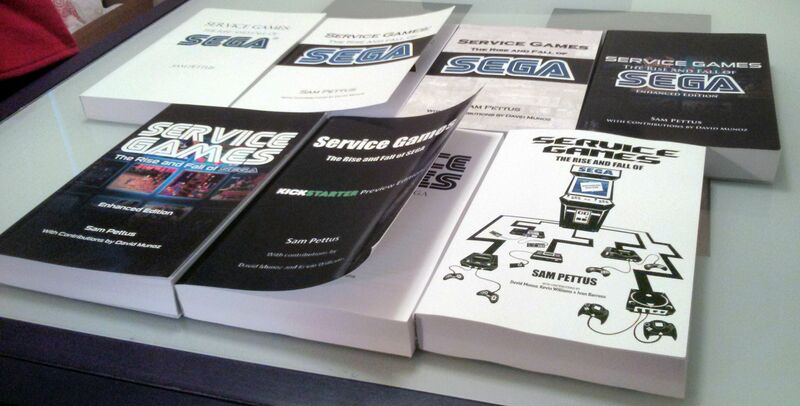 In addition to raising funds, this also united the community and several fans, including yours truly, joined forces to write the ultimate SEGA history book, and we managed to bring back Sam Pettus back as well. For more information read DCS’s entire interview with David Munoz. Paper-back copy of the books can be purchased at Create Space for $25$, or you can download it on Kindle for $10.